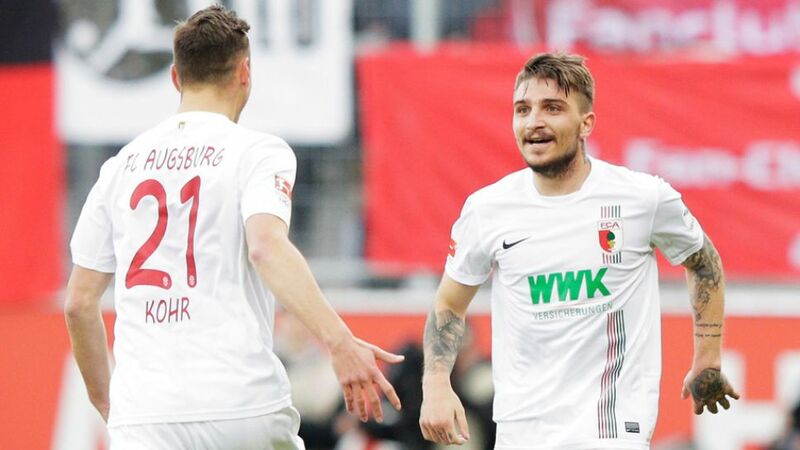 Konstantinos Stafylidis' first-half stunner put FC Augsburg ahead in Ingolstadt, but his side were still beaten. Moritz Hartmann held his nerve to score from the penalty spot five minutes from time and give FC Ingolstadt 04 a 2-1 win at home to FC Augsburg on Saturday. Augsburg had won on their three previous visits to Ingolstadt for a competitive fixture, and they soon showed again they feel at home there. The manner in which they did so was singularly spectacular as Stafylidis sent a stinging half-volley arrowing into the top corner. The strike not only seem to take the breath of the crowd as Augsburg suddenly found themselves huffing and puffing as Ingolstadt reacted, and Max Christiansen and Marvin Matip both had half-chances to level before half-time. The latter eventually - and deservedly - brought his side level just before the hour mark, heading home when a corner had been helped on, and Dario Lezcano - impressive in defeat to Dortmund last time out - might have won it for Ralph Hasenhüttl's men, but shot over when well placed. Instead, it was Hartmann who earned the hosts all three points - tucking home from the spot after Jan Moravek had been adjudged to have fouled Lezcano. Matip produced a captain's performance, embellishing his display with the equaliser. Remarkably resilient, Ingolstadt surely have enough to keep themselves up this season. Augsburg are now unbeaten in eight league games, the longest such run in the league.Ingolstadt won back-to-back home games for the first time in their history.Stafylidis scores his maiden Bundesliga goal.Augsburg had kept three successive clean sheets before Matip's strike.